The 4th EU-Africa summit, which took place at the beginning of April this year, received a lot of attention by African and European heads of government and state. The run-up to the summit has seen an intense political dialog between the two partners which was further enriched by numerous contributions from non-state actors from both continents. It is in this vein, that the Friedrich-Ebert-Stiftung (FES) would like to invite a selected number of experts on EU-Africa relations in order to analyze the outcomes of the 4th EU-Africa summit, discuss a way forward and contribute to a strengthened cooperation between Africa and Europe. Even though expectations were kept in check, the summit – with its theme of Peace, Prosperity and People – received cautiously optimistic support from most observers. Issues on peace and security, especially the ongoing crisis in Central African Republic (CAR), were taking center stage and resulted in a renewed commitment regarding the African Peace Facility. However, the summit has seen a noticeable shift from previous ones. Although discussions about European aid and financial commitments featured prominently the strong focus on trade and investment suggests a change in the nature of the partnership. between Africa and the EU. Perceptions of each other further alienated the partners. On the one hand, Europe has long seen Africa as being overly donor dependent, not serious enough in its democratic development and as a continent of crisis rather than of opportunity. On the other hand, Africa perceived Europe as being patronizing telling Africans what to do instead of finding common interests and solutions. Further, Europe is facing a problem of credibility as its value driven approach on democracy and good governance often contradicts its economic interests. Political realities, however, are changing. While Africa is – in large parts – still facing major challenges and is confronted with bad governance, rampant corruption, rising economic inequality, high unemployment rates, violent conflicts, terrorism etc. it is also experiencing unprecedented economic growth rates – mainly boosted by the export of raw materials. The global interest in African natural resources has attracted new actors to the continent and gives African leadership the chance to choose their partners. As a result, a more confident African leadership has emerged that is reassessing Africa’s global role. In addition, African governments perceive these new actors more conducive to economic growth and development as they do not apply aid conditionality and do not interfere with domestic issues like good governance. The overall objective of this conference is to create an annual platform for further thematic exchange that shall provide input for the EU-Africa relations and foster strengthened cooperation. Analyzing the 4th EU-Africa Summit and its likely effects on the partnership for the future. Identifying issues of common concern that have the potential to foster political dialog and produce results until the next summit. Supporting the partnership in order for it to adapt to a changing global environment while preserving the spirit of the cooperation as enshrined in the JAES. 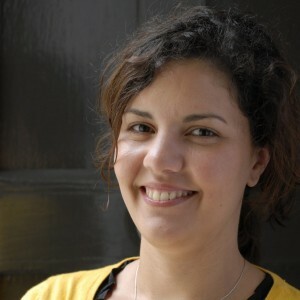 ECDPM’s Faten Aggad-Clerx will moderate the session on the topic: ‘Fourth EU-Africa Summit – Assessment and way forward’.